Jon B – Comfortable in his Swagg! He is one of the most celebrated singer / songwriters of the 90’s R&B and Soul era, having penned a gamut of Grammy nominated, memory provoking songs for artists like After 7, Color Me Badd and Babyface. 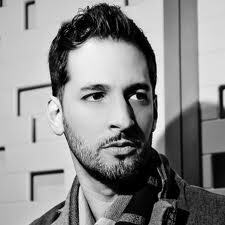 Jon B is a name synonymous with a knack of turning any song he touches into veritable gold! He is a veteran to the music game, seven albums deep with a string of chart toppers and club bangers with hits “They Don’t Know”, Are You Still Down” and “Don’t Talk” to name a few. Heading down under for his first ever performance in the celebrated Made in the 90’s concert tour, alongside fellow 90’s uber-acts Soul For Real, Color Me Badd and Shai, Jon B is set to light the stage with a performance his Aussie fans will love. Showcasing his hits from his first album Bonafide right up to the new works off his 7th studio album ‘Comfortable Swag’, Jon B is a true gentleman at heart and humble to the core. The Rhode Island born, Pasadena California raised Jonathan David Buck took all the lessons he learnt in his musical home and through perseverance and dedication soon caught the attention of Tracey Edmonds, former CEO of Yab-Yum Records and now ex-wife of the legendary Babyface, and song writing history began. Having worked with a plethora of this industry’s finest artists, writing for and appearing on tracks alongside Tupac, Michael Jackson, Toni Braxton, Nas and many others, Jon has always remained true to himself and his craft and always managed to take it all in his stride , an attitude that has helped sustain his 17 year music career to date. This interview unearths a very humble, centered and grown Jon B as he reflects on the lessons of his past, the acceptance of the present and strive for the future as he begins collaborations with the next generation of R&B / Hip Hop artists and schools them on the art of finding their own comfortable swag! Such a pleasure to have this interview with you Jon, I am a huge fan! How are you feeling about your impending trip to Australia soon? Will this be your first time down here? Wow thank you so much. I am so excited to be finally coming to Australia to officially perform this time. I have heard such good things about the country and its people that I am so pumped to come and experience that for myself ( laughs) and maybe catch a little sightseeing in your beautiful city of Sydney. I heard that you can walk across the Harbour Bridge is that correct? Wow I gotta try that …..After I give the audience what they want of course ( laughs)! Your career has been a long and successful journey , with seven studio albums, writing for artists such as Babyface, After 7 and Color Me Badd and a plethora of new projects like your label VibeZelect Inc. Describe how the journey has been for you thus far? Like everyone else that’s trying to make do with the talents that they have and be the success story they wanna become, with that comes hard work and lots of ups and downs. Writing music is a craft and each album is a collection of that writer’s real experience so you have to share your life with so many in the hopes that your words and music connects with everyone that buys your album, and that takes time to perfect. For me it’s always been a bit of a challenge to make records with record labels you know so this is really my first time creating my music under my own label Vibezelect and being the creative force behind my sound. Timing is such an important part of the success of an artist’s album and I always felt that I would have liked to release my previous albums a little quicker in succession rather than have waited every 3 to 4 years you know. I had a philosophy of you kinda had to go through it to get to it in terms of life experiences so I guess that 3 or 4 years for me was a solid amount of time to collect a bigger body of work and put an album together. What I’ve learnt now though is that I don’t think you need to wait that long anymore to release an album, the game is changing so quickly with newer artists coming up all the time so as a seasoned artist you need to be on your game even more now. So my journey has and always will be learning and perfecting one! I’m actually looking to release a new album at the top of 2013 called ‘Jon B – The B Sides Collection’ and it will feature a collection of my favorite cuts and tracks that just didn’t make it to any of my studio album. It’s going to be the classic Jon B sound that you wanna play for when you chilling with your someone special or cruising in your car with the top down , and I really hope my fans enjoy it. Having the history you have in the R&B / Soul industry and now owning your own record label you are in the position to help nurture and mold the next generation of R&B singers – what is your ultimate vision with Vibezelect Inc. and what are your thoughts on the current status of the R&B / Hip Hop music world today? Look I started out banging beats and writing tracks in my bedroom and hustled hard to get my music and talent noticed way back then. The hustle to succeed today shouldn’t be any different, but the methods of achievement are quicker, more defined and that much more competitive I think. You have to start somewhere , creativity is creativity, so it doesn’t matter how the artists do it, as long as they create something honest of themselves you know. The most important thing to me is the communication between my music and my fans and that has always been paramount. I have never been one to get bogged down in the formality of record label meetings and working with a bunch of people that don’t see my vision the way I do, so having Vibezelect has really changed the scope of everything for me in such a positive way. It’s a family run business that I operate alongside my wife, we take bookings, product orders the lot and I wouldn’t have it any other way. You are embarking on an old school tour in Australia called ‘Made In The 90’s’ alongside groups Soul 4 Real, Color Me Badd & Shai and you are the only solo artist on the tour …..what can the Aussie audience expect from your performance and will you be sharing songs from all your albums or just the hits? I’ve made the show very well rounded, so whether you’re a fan of my music or just a fan of the sound of the 90’s you will enjoy my performance, as well as the rest of the guys sets too. I am definitely going to be bringing the hits like ‘They Don’t Know’, ‘Someone to Love’, “Don’t Talk”, so if you were around back in 1995 then you can be guaranteed I will be playing the hits for you , as well as some other album cuts that maybe some of the more devoted fans will know and want to hear. It’s going to be a good show and I can’t wait to perform for an Aussie audience. You have a new album out now called “Comfortable Swagg”, which features the debut single ‘Only One’…. How has the album been doing on the charts and what was the reason behind the title? You have always been able to create some amazing music which in turn have become memorable club bangers ….Don’t Talk, Are You Still Down, Lately etc. ….what’s the creative process like for you? I am so proud of the success those records have brought me and for the way I created their sound. For me right now though, I am focusing more on the production side of things and working with artists that are bringing a newer energy to the game. I would love to be able to work with Chris Brown, Neyo, Rihanna etc. and learn from them their outlook and creative process and vice versa. It’s an ever evolving craft writing and producing music so I believe you need to stay on top of current trends and artists and also aim to add your own touch and style. It’s an aspiration of mine to be one of the truly greatest songwriters of our time and to walk in the footsteps of my man Babyface. You have collaborated with some great artists in the past, notably Tupac, Nas and DJ Quik to name a few. You have currently appeared on a track on Drakes new album called ‘Cameras’ – what’s the flavor of that track and how was it working with Drake? That was a pretty cool project to work on with Drake. They basically had the song already done, which was really a sample of my song “ Calling on You” which was off the ‘Pleasures U Like’ album. They just wanted to get the clearance from me to use the hook of my song in his track and it sounded amazing the way the producers cut and tagged some of the beats to give it more edge but still managed to keep the essence of my original track. It’s a great song and I’m really excited about it. Catch Jon B as he tours Sydney and Melbourne in the ‘Made in the 90’s’ concert tour on Dec 1st and 2nd.